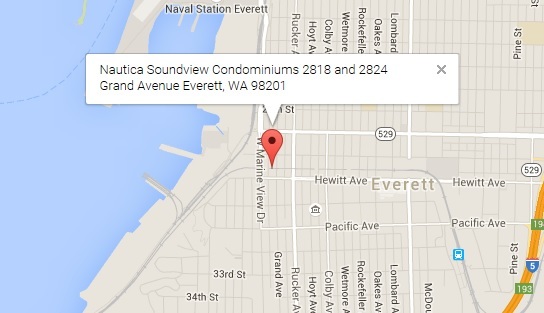 The Nautica Soundview Condominiums are located at the corner of Hewitt and Grand Avenues in downtown Everett, Washington. The Building A address is 2824 Grand Avenue and the Building B address is 2818 Grand Avenue. The Main Entrance is on Grand in between the two buildings.